WorkPlace Furniture Inc. is an 11-year-old regional office furniture dealership serving Tennessee, Mississippi, Arkansas and surrounding markets. We operate from a convenient 10,000 sq. ft. showroom location and specialize in new and high grade used furniture. Our selections include a broad array of workstations, desking, seating, tables, modular walls, and filing/storage in every style and price point. We strive to provide customers smart, sensible, and affordable solutions that are high in value, quality, durability, and design appeal. We are highly experienced in dealing with new construction, renovation, and expansion projects of every kind. WorkPlace Furniture has enjoyed vigorous growth since its inception largely due to reacting to what the market needs and wants. Our business model is very efficient and that translates to increased responsiveness and greater customer savings. Our projects range in size from small business start ups to large corporate projects, and we approach each one with the focus of “getting it right” from our customer’s perspective. 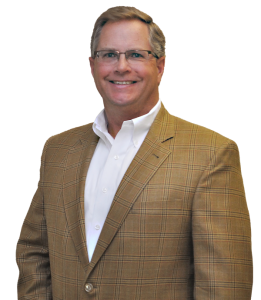 John Warren, acting as President, has been a dealer principal in the furniture industry for 20 years, and has 34 years in sales, marketing, and management. Formerly, he was President of Mills Morris Office Furniture, one of Memphis’ largest and oldest dealerships until its sale to Corporate Express.